In contemporary times, the president is looked upon as one of the world’s most powerful political figures as the leader of the only remaining global superpower. The role includes responsibility for the world’s most expensive military, which has the second largest nuclear arsenal. The president also leads the nation with the largest economy by nominal GDP. The president possesses significant domestic and international hard and soft power. Following the successful resolution of commercial and fishing disputes between Virginia and Maryland at the Mount Vernon Conference in 1785, Virginia called for a trade conference between all the states, set for September 1786 in Annapolis, Maryland, with an aim toward resolving further-reaching interstate commercial antagonisms. When the convention failed for lack of attendance due to suspicions among most of the other states, Alexander Hamilton led the Annapolis delegates in a call for a convention to offer revisions to the Articles, to be held the next spring in Philadelphia. Prospects for the next convention appeared bleak until James Madison and Edmund Randolph succeeded in securing George Washington‘s attendance to Philadelphia as a delegate for Virginia. In 1996, Congress attempted to enhance the president’s veto power with the Line Item Veto Act. The legislation empowered the president to sign any spending bill into law while simultaneously striking certain spending items within the bill, particularly any new spending, any amount of discretionary spending, or any new limited tax benefit. Congress could then repass that particular item. If the president then vetoed the new legislation, Congress could override the veto by its ordinary means, a two-thirds vote in both houses. In Clinton v. City of New York, 524 U.S. 417 (1998), the U.S. Supreme Court ruled such a legislative alteration of the veto power to be unconstitutional. The president can also be involved in crafting legislation by suggesting, requesting or even insisting that Congress enact laws he believes are needed. Additionally, he can attempt to shape legislation during the legislative process by exerting influence on individual members of Congress. Presidents possess this power because the Constitution is silent about who can write legislation, but the power is limited because only members of Congress can introduce legislation. Article I, Section 1 of the Constitution, bolstered by Article I, Section 8, puts all lawmaking power in Congress’s hands, and Article 1, Section 6, Clause 2 prevents the president (and all other executive branch officers) from simultaneously being a member of Congress. The president or other officials of the executive branch may draft legislation and then ask senators or representatives to introduce these drafts into Congress. The president can further influence the legislative branch through constitutionally (e.g. Article II, Section 3) or statutorily mandated periodic reports to Congress. These reports may be either written or oral, but today the greatest in importance is given as the oral State of the Union addresses, which often outline the president’s legislative proposals for the coming year. Additionally, the president may attempt to have Congress alter proposed legislation by threatening to veto that legislation unless requested changes are made. In the 20th century, critics charged that too many legislative and budgetary powers that should have belonged to Congress had slid into the hands of presidents. As the head of the executive branch, presidents control a vast array of agencies that can issue regulations with little oversight from Congress. One critic charged that presidents could appoint a “virtual army of ‘czars’ – each wholly unaccountable to Congress yet tasked with spearheading major policy efforts for the White House”. Presidents have been criticized for making signing statements when signing congressional legislation about how they understand a bill or plan to execute it. This practice has been criticized by the American Bar Association as unconstitutional. Conservative commentator George Will wrote of an “increasingly swollen executive branch” and “the eclipse of Congress”. One of the most important of all executive powers is the president’s role as Commander-in-Chief of the United States Armed Forces. The power to declare war is constitutionally vested in Congress, but the president has ultimate responsibility for the direction and disposition of the military. The exact degree of authority that the Constitution grants to the President as Commander in Chief has been the subject of much debate throughout history, with Congress at various times granting the President wide authority and at others attempting to restrict that authority. The amount of military detail handled personally by the President in wartime has varied dramatically. George Washington, the first U.S. president, firmly established military subordination under civilian authority. In 1794, Washington used his constitutional powers to assemble 12,000 militia to quell the Whiskey Rebellion—a conflict in western Pennsylvania involving armed farmers and distillers who refused to pay an excise tax on spirits. According to historian Joseph Ellis, this was the “first and only time a sitting American president led troops in the field”, though James Madison briefly took control of artillery units in defense of Washington D.C. during the War of 1812. 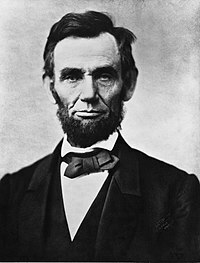 Abraham Lincoln was deeply involved in overall strategy and in day-to-day operations during the American Civil War, 1861–1865; historians have given Lincoln high praise for his strategic sense and his ability to select and encourage commanders such as Ulysses S. Grant. Pursuant to the War Powers Resolution, Congress must authorize any troop deployments longer than 60 days, although that process relies on triggering mechanisms that have never been employed, rendering it ineffectual. Additionally, Congress provides a check to presidential military power through its control over military spending and regulation. Presidents have historically initiated the process for going to war, but critics have charged that there have been several conflicts in which presidents did not get official declarations, including Theodore Roosevelt‘s military move into Panama in 1903, the Korean War, the Vietnam War, and the invasions of Grenada in 1983 and Panama in 1989. The president is the head of the executive branch of the federal government and is constitutionally obligated to “take care that the laws be faithfully executed”. The executive branch has over four million employees, including members of the military. Presidents make numerous executive branch appointments: an incoming president may make up to 6,000 before taking office and 8,000 more while serving. Ambassadors, members of the Cabinet, and other federal officers, are all appointed by a president with the “advice and consent” of a majority of the Senate. When the Senate is in recess for at least ten days, the president may make recess appointments. Recess appointments are temporary and expire at the end of the next session of the Senate. The power of a president to fire executive officials has long been a contentious political issue. Generally, a president may remove executive officials purely at will. However, Congress can curtail and constrain a president’s authority to fire commissioners of independent regulatory agencies and certain inferior executive officers by statute. To manage the growing federal bureaucracy, presidents have gradually surrounded themselves with many layers of staff, who were eventually organized into the Executive Office of the President of the United States. Within the Executive Office, the president’s innermost layer of aides (and their assistants) are located in the White House Office. To allow the government to act quickly in case of a major domestic or international crisis arising when Congress is not in session, the president is empowered by Article II, Section 3 of the Constitution to call a special session of one our both houses of Congress. Since John Adams first did so in 1797, the president has called the full Congress to convene for a special session on 27 occasions. Harry Truman was the most recent to do so in July 1948 (the so called “Turnip Day Session“). In addition, prior to ratification of the Twentieth Amendment in 1933, which brought forward the date on which Congress convenes from December to January, newly inaugurated presidents would routinely call the Senate to meet to confirm nominations or ratify treaties. Correspondingly, the president is authorized to adjourn Congress if the House and Senate cannot agree on the time of adjournment; no president has ever had to exercise this administrative power. Historically, two doctrines concerning executive power have developed that enable the president to exercise executive power with a degree of autonomy. The first is executive privilege, which allows the president to withhold from disclosure any communications made directly to the president in the performance of executive duties. George Washington first claimed the privilege when Congress requested to see Chief Justice John Jay‘s notes from an unpopular treaty negotiation with Great Britain. While not enshrined in the Constitution or any other law, Washington’s action created the precedent for the privilege. When Nixon tried to use executive privilege as a reason for not turning over subpoenaed evidence to Congress during the Watergate scandal, the Supreme Court ruled in United States v. Nixon, 418 U.S. 683 (1974), that executive privilege did not apply in cases where a president was attempting to avoid criminal prosecution. When President Clinton attempted to use executive privilege regarding the Lewinsky scandal, the Supreme Court ruled in Clinton v. Jones, 520 U.S. 681 (1997), that the privilege also could not be used in civil suits. These cases established the legal precedent that executive privilege is valid, although the exact extent of the privilege has yet to be clearly defined. Additionally, federal courts have allowed this privilege to radiate outward and protect other executive branch employees, but have weakened that protection for those executive branch communications that do not involve the president. The state secrets privilege allows the president and the executive branch to withhold information or documents from discovery in legal proceedings if such release would harm national security. Precedent for the privilege arose early in the 19th century when Thomas Jefferson refused to release military documents in the treason trial of Aaron Burr and again in Totten v. United States 92 U.S. 105 (1876), when the Supreme Court dismissed a case brought by a former Union spy. However, the privilege was not formally recognized by the U.S. Supreme Court until United States v. Reynolds 345 U.S. 1 (1953), where it was held to be a common law evidentiary privilege. Before the September 11 attacks, use of the privilege had been rare, but increasing in frequency. Since 2001, the government has asserted the privilege in more cases and at earlier stages of the litigation, thus in some instances causing dismissal of the suits before reaching the merits of the claims, as in the Ninth Circuit‘s ruling in Mohamed v. Jeppesen Dataplan, Inc. Critics of the privilege claim its use has become a tool for the government to cover up illegal or embarrassing government actions. The president fulfills various ceremonial duties. William Howard Taft started the tradition of throwing out the ceremonial first pitch in 1910 at Griffith Stadium, Washington, D.C., on the Washington Senators’s Opening Day. 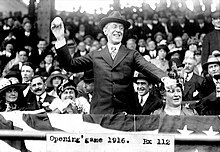 Every president since Taft, except for Jimmy Carter, threw out at least one ceremonial first ball or pitch for Opening Day, the All-Star Game, or the World Series, usually with much fanfare. Every president since Theodore Roosevelt has served as honorary president of the Boy Scouts of America. Other presidential traditions are associated with American holidays. Rutherford B. Hayes began in 1878 the first White House egg rolling for local children. Beginning in 1947, during the Harry S. Truman administration, every Thanksgiving the president is presented with a live domestic turkey during the annual National Thanksgiving Turkey Presentation held at the White House. Since 1989, when the custom of “pardoning” the turkey was formalized by George H. W. Bush, the turkey has been taken to a farm where it will live out the rest of its natural life. Presidential traditions also involve the president’s role as head of government. Many outgoing presidents since James Buchanan traditionally give advice to their successor during the presidential transition. Ronald Reagan and his successors have also left a private message on the desk of the Oval Office on Inauguration Day for the incoming president. The modern presidency holds the president as one of the nation’s premier celebrities. Some argue that images of the presidency have a tendency to be manipulated by administration public relations officials as well as by presidents themselves. One critic described the presidency as “propagandized leadership” which has a “mesmerizing power surrounding the office”. Administration public relations managers staged carefully crafted photo-ops of smiling presidents with smiling crowds for television cameras. One critic wrote the image of John F. Kennedy was described as carefully framed “in rich detail” which “drew on the power of myth” regarding the incident of PT 109 and wrote that Kennedy understood how to use images to further his presidential ambitions. As a result, some political commentators have opined that American voters have unrealistic expectations of presidents: voters expect a president to “drive the economy, vanquish enemies, lead the free world, comfort tornado victims, heal the national soul and protect borrowers from hidden credit-card fees”. The nation’s Founding Fathers expected the Congress—which was the first branch of government described in the Constitution—to be the dominant branch of government; they did not expect a strong executive department. However, presidential power has shifted over time, which has resulted in claims that the modern presidency has become too powerful, unchecked, unbalanced, and “monarchist” in nature. Professor Dana D. Nelson believes presidents over the past thirty years have worked towards “undivided presidential control of the executive branch and its agencies”. She criticizes proponents of the unitary executive for expanding “the many existing uncheckable executive powers – such as executive orders, decrees, memorandums, proclamations, national security directives and legislative signing statements – that already allow presidents to enact a good deal of foreign and domestic policy without aid, interference or consent from Congress”. Bill Wilson, board member of Americans for Limited Government, opined that the expanded presidency was “the greatest threat ever to individual freedom and democratic rule”. The modern presidential campaign begins before the primary elections, which the two major political parties use to clear the field of candidates before their national nominating conventions, where the most successful candidate is made the party’s nominee for president. Typically, the party’s presidential candidate chooses a vice presidential nominee, and this choice is rubber-stamped by the convention. The most common previous profession of U.S. presidents is lawyer. The president is elected indirectly by the voters of each state and the District of Columbia through the Electoral College, a body of electors formed every four years for the sole purpose of electing the president and vice president to concurrent four-year terms. 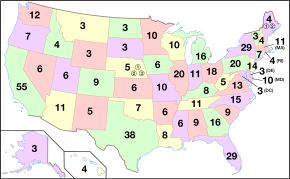 As prescribed by the Twelfth Amendment, each state is entitled to a number of electors equal to the size of its total delegation in both houses of Congress. Additionally, the Twenty-third Amendment provides that the District of Columbia is entitled to the number it would have if it were a state, but in no case more than that of the least populous state. Currently, all states and D.C. select their electors based on a popular election held on Election Day. In all but two states, the party whose presidential-vice presidential ticket receives a plurality of popular votes in the state has its entire slate of elector nominees chosen as the state’s electors. Maine and Nebraska deviate from this winner-take-all practice, awarding two electors to the statewide winner and one to the winner in each congressional district. There have been two contingent presidential elections in the nation’s history. A 73–73 electoral vote tie between Thomas Jefferson and fellow Democratic-Republican Aaron Burr in the election of 1800 necessitated the first. Conducted under the original procedure established by Article II, Section 1, Clause 3 of the Constitution, which stipulates that if two or three persons received a majority vote and an equal vote, the House of Representatives would choose one of them for president; the runner up would become Vice President. On February 17, 1801, Jefferson was elected president on the 36th ballot, and Burr became vice president. Afterward, the system was overhauled through the Twelfth Amendment in time to be used in the 1804 election. A quarter-century later, the choice for president again devolved to the House when no candidate won an absolute majority of electoral votes (131 of 261) in the election of 1824. Under the Twelfth Amendment, the House was required to choose a president from among the top three electoral vote recipients: Andrew Jackson, John Quincy Adams, and William H. Crawford. Held February 9, 1825, this second and most recent contingent election resulted in John Quincy Adams being elected president on the first ballot. Presidents have traditionally placed one hand upon a Bible while taking the oath, and have added “So help me God” to the end of the oath. Although the oath may be administered by any person authorized by law to administer oaths, presidents are traditionally sworn in by the Chief Justice of the United States. 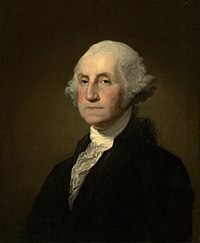 When the first president, George Washington, announced in his Farewell Address that he was not running for a third term, he established a “two-terms then out” precedent. Precedent became tradition after Thomas Jefferson publicly embraced the principle a decade later during his second term, as did his two immediate successors, James Madison and James Monroe. In spite of the strong two-term tradition, Ulysses S. Grant sought a non-consecutive third term in 1880, as did Theodore Roosevelt in 1912 (though it would have been only his second full term). Both were unsuccessful. In response to the unprecedented length of Roosevelt’s presidency, the Twenty-second Amendment was adopted in 1951. The amendment bars anyone from being elected president more than twice, or once if that person served more than two years (24 months) of another president’s four-year term. Harry S. Truman, president when this term limit came into force, was exempted from its limitations, and briefly sought a second full term—to which he would have otherwise been ineligible for election, as he had been president for more than two years of Roosevelt’s fourth term—before he withdrew from the 1952 election. Since the amendment’s adoption, five presidents have served two full terms: Dwight D. Eisenhower, Ronald Reagan, Bill Clinton, George W. Bush, and Barack Obama. Both Jimmy Carter and George H. W. Bush sought a second term but were defeated. Richard Nixon was elected to a second term, but resigned before completing it. Lyndon B. Johnson, having held the presidency for one full term in addition to only 14 months of John F. Kennedy‘s unexpired term, was eligible for a second full term in 1968, but withdrew from Democratic Primary. Additionally, Gerald Ford, who served out the last two years and five months of Nixon’s second term, sought a full term but was defeated by Jimmy Carter in the 1976 election. Article II, Section 4 of the Constitution allows for the removal of high federal officials, including the president, from office for “treason, bribery, or other high crimes and misdemeanors.” Article I, Section 2, Clause 5 authorizes the House of Representatives to serve as a “grand jury” with the power to impeach said officials by a majority vote. Article I, Section 3, Clause 6 authorizes the Senate to serve as a court with the power to remove impeached officials from office, by a two-thirds vote to convict. The Constitution, in Article II, Section 1, Clause 6, stipulates that the vice president takes over the “powers and duties” of the presidency in the event of a president’s removal, death, resignation, or inability. Even so, it does not clearly state whether the vice president would become President of the United States or simply act as president in a case of succession. This ambiguity was alleviated in 1967 by Section 1 of the Twenty-fifth Amendment, which unequivocally states that the vice president becomes president upon the removal from office, death, or resignation of the president. Article II, Section 1, Clause 6 also authorizes Congress to declare who shall become acting president in the “Case of Removal, Death, Resignation or Inability, both of the President and Vice President.” The Presidential Succession Act of 1947, (codified as 3 U.S.C. § 19) provides that if both the president and vice president have left office or are both otherwise unavailable to serve during their terms of office, the presidential line of succession follows the order of: Speaker of the House, then, if necessary, the President pro tempore of the Senate, and then if necessary, the eligible heads of federal executive departments who form the president’s Cabinet. The Cabinet currently has 15 members, of which the Secretary of State is first in line; the other Cabinet secretaries follow in the order in which their department (or the department of which their department is the successor) was created. Those department heads who are constitutionally ineligible to be elected to the presidency are also disqualified from assuming the powers and duties of the presidency through succession. No statutory successor has yet been called upon to act as president. Throughout most of its history, politics of the United States have been dominated by political parties. Political parties had not been anticipated when the U.S. Constitution was drafted in 1787, nor did they exist at the time of the first presidential election in 1788–1789. Organized political parties developed in the U.S. in the mid–1790s, but political factions, from which organized parties evolved, began to appear almost immediately after the Federal government came into existence. Those who supported the Washington administration were referred to as “pro-administration” and would eventually form the Federalist Party, while those in opposition joined the emerging Democratic-Republican Party. Since 2001, the president’s annual salary has been $400,000, along with a: $50,000 expense allowance; $100,000 nontaxable travel account, and $19,000 entertainment account. The president’s salary is set by Congress, and under Article II, Section 1, Clause 7 of the Constitution, may not be increased or reduced during his or her current term of office. The White House in Washington, D.C. serves as the official residence of the president. The site was selected by George Washington, and the cornerstone was laid in 1792. Every president since John Adams (in 1800) has lived there. At various times in U.S. history, it has been known as the “President’s Palace,” the “President’s House,” and the “Executive Mansion.” Theodore Roosevelt officially gave the White House its current name in 1901. Facilities that are available to the president include access to the White House staff, medical care, recreation, housekeeping, and security services. The federal government pays for state dinners and other official functions, but the president pays for personal, family, and guest dry cleaning and food. Camp David, officially titled Naval Support Facility Thurmont, a mountain-based military camp in Frederick County, Maryland, is the president’s country residence. A place of solitude and tranquility, the site has been used extensively to host foreign dignitaries since the 1940s. Blair House, located next to the Eisenhower Executive Office Building at the White House Complex and Lafayette Park, serves as the president’s official guest house and as a secondary residence for the president if needed. Four interconnected, 19th century houses—Blair House, Lee House, and 700 and 704 Jackson Place—with a combined floor space exceeding 70,000 square feet (6,500 m2) comprise the property. 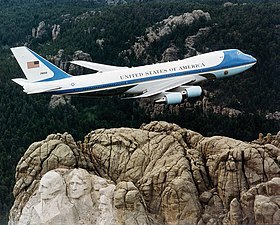 The primary means of long-distance air travel for the president is one of two identical Boeing VC-25 aircraft, which are extensively modified Boeing 747 airliners and are referred to as Air Force One while the president is on board (although any U.S. Air Force aircraft the president is aboard is designated as “Air Force One” for the duration of the flight). In-country trips are typically handled with just one of the two planes, while overseas trips are handled with both, one primary and one backup. The president also has access to smaller Air Force aircraft, most notably the Boeing C-32, which are used when the president must travel to airports that cannot support a jumbo jet. Any civilian aircraft the president is aboard is designated Executive One for the flight. Under the Former Presidents Act, all living former presidents are granted a pension, an office, and a staff. The pension has increased numerous times with Congressional approval. Retired presidents now receive a pension based on the salary of the current administration’s cabinet secretaries, which was $199,700 each year in 2012. Former presidents who served in Congress may also collect congressional pensions. The act also provides former presidents with travel funds and franking privileges. Prior to 1997, all former presidents, their spouses, and their children until age 16 were protected by the Secret Service until the president’s death. In 1997, Congress passed legislation limiting secret service protection to no more than 10 years from the date a president leaves office. On January 10, 2013, President Obama signed legislation reinstating lifetime secret service protection for him, George W. Bush, and all subsequent presidents. A spouse who remarries is no longer eligible for secret service protection. Some presidents have had significant careers after leaving office. Prominent examples include William Howard Taft‘s tenure as Chief Justice of the United States and Herbert Hoover‘s work on government reorganization after World War II. Grover Cleveland, whose bid for reelection failed in 1888, was elected president again four years later in 1892. Two former presidents served in Congress after leaving the White House: John Quincy Adams was elected to the House of Representatives, serving there for seventeen years, and Andrew Johnson returned to the Senate in 1875. John Tyler served in the provisional Congress of the Confederate States during the Civil War and was elected to the Confederate House of Representatives, but died before that body first met. ^ The nine vice presidents who succeeded to the presidency upon their predecessor’s death or resignation and finished-out that unexpired term are: John Tyler (1841); Millard Fillmore (1850); Andrew Johnson (1865); Chester A. Arthur (1881); Theodore Roosevelt (1901); Calvin Coolidge (1923); Harry S. Truman (1945); Lyndon B. Johnson (1963); and Gerald Ford (1974). ^ Former Democrat John Tyler was elected vice president on the Whig Party ticket with Harrison in 1840. Tyler’s policy priorities as president soon proved to be opposed to most of the Whig agenda, and he was expelled from the party in September 1841. ^ “How To Address The President; He Is Not Your Excellency Or Your Honor, But Mr. President”. The New York Times. August 2, 1891. ^ “USGS Correspondence Handbook – Chapter 4”. Usgs.gov. July 18, 2007. Archived from the original on September 26, 2012. Retrieved November 15, 2012. ^ “Models of Address and Salutation”. Ita.doc.gov. Retrieved September 4, 2010. ^ The White House Office of the Press Secretary (September 1, 2010). “Remarks by President Obama, President Mubarak, His Majesty King Abdullah, Prime Minister Netanyahu and President Abbas Before Working Dinner”. obamawhitehouse.archives.gov. Retrieved July 19, 2011. ^ “Exchanges of Letters”. Jimmy Carter Library. September 1978. Retrieved November 9, 2017. ^ “March 4: A forgotten huge day in American history”. Philadelphia: National Constitution Center. March 4, 2013. Retrieved July 29, 2018. ^ “Presidential Election of 1789”. Digital Encyclopedia. Mount Vernon, Virginia: Mount Vernon Ladies’ Association, George Washington’s Mount Vernon. Retrieved July 29, 2018. ^ “How common is Trump’s $1 salary?”. BBC World Service. November 14, 2016. Retrieved January 22, 2017. ^ Safire, William (2008). Safire’s Political Dictionary. Oxford University Press. p. 564. ISBN 9780195340617. ^ Von Drehle, David (February 2, 2017). “Is Steve Bannon the Second Most Powerful Man in the World?”. Time. ^ “Who should be the world’s most powerful person?”. The Guardian. London. January 3, 2008. ^ Meacham, Jon (December 20, 2008). “Meacham: The History of Power”. Newsweek. Retrieved September 4, 2010. ^ Zakaria, Fareed (December 20, 2008). “The NEWSWEEK 50: Barack Obama”. Newsweek. Retrieved September 4, 2010. ^ “Transcript of the Constitution of the United States – Official”. Archives.gov. Retrieved September 4, 2010. ^ Pfiffner, J. P. (1988). “The President’s Legislative Agenda”. Annals of the American Academy of Political and Social Science. 499: 22–35. doi:10.1177/0002716288499001002. ^ Ford, Henry Jones (1908). “The Influence of State Politics in Expanding Federal Power”. Proceedings of the American Political Science Association. 5: 53–63. doi:10.2307/3038511. JSTOR 3038511. ^ “Executive Branch”. obamawhitehouse.archives.gov. , The White House. ^ “Executive Branch”. obamawhitehouse.archives.gov. .
^ “Grover Cleveland – 24”. White House. .
^ “Articles of Confederation, 1777–1781”. Washington, D.C.: Office of the Historian, Bureau of Public Affairs, United States Department of State. Retrieved January 20, 2019. ^ Pfiffner, James. “Essays on Article II: Recommendations Clause”. The Heritage Guide to the Constitution. Heritage Foundation. Retrieved April 14, 2019. ^ Karp, Andrew H. (May 18, 2016). “What influence does the president have over congress?”. quora.com. Retrieved April 14, 2019. ^ “Our Government: The Legislative Branch”. www.whitehouse.gov. Washington, D.C.: The White House. Retrieved April 14, 2019. ^ Heitshusen, Valerie (November 15, 2018). “Introduction to the Legislative Process in the U.S. Congress” (PDF). R42843 · Version 14 · updated. Washington, D.C.: Congressional Research Service. Retrieved April 14, 2019. ^ Cantor, Eric (July 30, 2009). “Obama’s 32 Czars”. The Washington Post. Retrieved September 28, 2009. ^ Nelson, Dana D. (October 11, 2008). “The ‘unitary executive’ question”. Los Angeles Times. Retrieved October 4, 2009. ^ Suarez, Ray; et al. (July 24, 2006). “President’s Use of ‘Signing Statements’ Raises Constitutional Concerns”. PBS Online NewsHour. Archived from the original on March 21, 2007. Retrieved November 11, 2009. The American Bar Association said President Bush’s use of “signing statements”, which allow him to sign a bill into law but not enforce certain provisions, disregards the rule of law and the separation of powers. Legal experts discuss the implications. ^ Will, George F. (December 21, 2008). “Making Congress Moot”. The Washington Post. Retrieved September 28, 2009. ^ Ramsey, Michael; Vladeck, Stephen. “Common Interpretation: Commander in Chief Clause”. National Constitution Center Educational Resources (some internal navigation required). National Constitution Center. Retrieved May 23, 2017. ^ “George Washington and the Evolution of the American Commander in Chief”. The Colonial Williamsburg Foundation. ^ “DOD Releases Unified Command Plan 2011”. United States Department of Defense. April 8, 2011. Archived from the original on May 13, 2011. Retrieved February 25, 2013. ^ Christopher, James A.; Baker, III (July 8, 2008). “The National War Powers Commission Report”. The Miller Center of Public Affairs at the University of Virginia. Archived from the original (PDF) on November 26, 2010. Retrieved December 15, 2010. No clear mechanism or requirement exists today for the president and Congress to consult. The War Powers Resolution of 1973 contains only vague consultation requirements. Instead, it relies on reporting requirements that, if triggered, begin the clock running for Congress to approve the particular armed conflict. By the terms of the 1973 Resolution, however, Congress need not act to disapprove the conflict; the cessation of all hostilities is required in 60 to 90 days merely if Congress fails to act. Many have criticized this aspect of the Resolution as unwise and unconstitutional, and no president in the past 35 years has filed a report “pursuant” to these triggering provisions. ^ a b c d “The Law: The President’s War Powers”. Time. June 1, 1970. Retrieved September 28, 2009. ^ Mitchell, Alison (May 2, 1999). “The World; Only Congress Can Declare War. Really. It’s True”. The New York Times. Retrieved November 8, 2009. Presidents have sent forces abroad more than 100 times; Congress has declared war only five times: the War of 1812, the Mexican War, the Spanish–American War, World War I and World War II. ^ Mitchell, Alison (May 2, 1999). “The World; Only Congress Can Declare War. Really. It’s True”. The New York Times. Retrieved November 8, 2009. President Reagan told Congress of the invasion of Grenada two hours after he had ordered the landing. 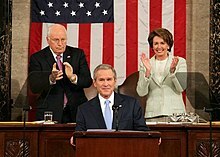 He told Congressional leaders of the bombing of Libya while the aircraft were on their way. ^ Gordon, Michael R. (December 20, 1990). “U.S. troops move in panama in effort to seize noriega; gunfire is heard in capital”. The New York Times. Retrieved November 8, 2009. It was not clear whether the White House consulted with Congressional leaders about the military action, or notified them in advance. Thomas S. Foley, the Speaker of the House, said on Tuesday night that he had not been alerted by the Administration. ^ “Article II, Section 3, U.S. Constitution”. Legal Information Institute. 2012. Retrieved August 7, 2012. ^ “The Executive Branch”. The White House. obamawhitehouse.archives.gov. Retrieved February 5, 2010. ^ Humphrey’s Executor v. United States, 295 U.S. 602 (1935) and Morrison v. Olson, 487 U.S. 654 (1988), respectively. ^ Forte, David F. “Essays on Article II: Convening of Congress”. The Heritage Guide to the Constitution. Heritage Foundation. Retrieved April 14, 2019. ^ Steinmetz, Katy (August 10, 2010). “Congressional Special Sessions”. Time. Retrieved April 14, 2019. ^ Gaziano, Todd (February 21, 2001). “Executive Summary: The Use and Abuse of Executive Orders and Other Presidential Directives”. Washington, D.C.: The Heritage Foundation. Retrieved January 23, 2018. ^ Johnston, David (December 24, 1992). “Bush Pardons 6 in Iran Affair, Aborting a Weinberger Trial; Prosecutor Assails ‘Cover-Up‘“. The New York Times. Retrieved November 8, 2009. But not since President Gerald R. Ford granted clemency to former President Richard M. Nixon for possible crimes in Watergate has a Presidential pardon so pointedly raised the issue of whether the President was trying to shield officials for political purposes. ^ Johnston, David (December 24, 1992). “Bush Pardons 6 in Iran Affair, Aborting a Weinberger Trial; Prosecutor Assails ‘Cover-Up‘“. The New York Times. Retrieved November 8, 2009. The prosecutor charged that Mr. Weinberger’s efforts to hide his notes may have ‘forestalled impeachment proceedings against President Reagan’ and formed part of a pattern of ‘deception and obstruction.’ … In light of President Bush’s own misconduct, we are gravely concerned about his decision to pardon others who lied to Congress and obstructed official investigations. ^ Eisler, Peter (March 7, 2008). “Clinton-papers release blocked”. USA Today. Retrieved November 8, 2009. Former president Clinton issued 140 pardons on his last day in office, including several to controversial figures, such as commodities trader Rich, then a fugitive on tax evasion charges. Rich’s ex-wife, Denise, contributed $2,000 in 1999 to Hillary Clinton’s Senate campaign; $5,000 to a related political action committee; and $450,000 to a fund set up to build the Clinton library. ^ Millhiser, Ian (June 1, 2010). “Executive Privilege 101”. Center for American Progress. Retrieved October 8, 2010. ^ “Part III of the opinion in Mohamed v. Jeppesen Dataplan“. Caselaw.findlaw.com. Retrieved November 29, 2010. ^ a b Frost, Amanda; Florence, Justin (2009). “Reforming the State Secrets Privilege”. American Constitution Society. Retrieved November 9, 2017. ^ Weaver, William G.; Pallitto, Robert M. (2005). “State Secrets and Executive Power”. Political Science Quarterly. 120 (1): 85–112. doi:10.1002/j.1538-165x.2005.tb00539.x. Use of the state secrets privilege in courts has grown significantly over the last twenty-five years. In the twenty-three years between the decision in Reynolds  and the election of Jimmy Carter, in 1976, there were four reported cases in which the government invoked the privilege. Between 1977 and 2001, there were a total of fifty-one reported cases in which courts ruled on invocation of the privilege. Because reported cases only represent a fraction of the total cases in which the privilege is invoked or implicated, it is unclear precisely how dramatically the use of the privilege has grown. But the increase in reported cases is indicative of greater willingness to assert the privilege than in the past. ^ Savage, Charlie (September 8, 2010). “Court Dismisses a Case Asserting Torture by C.I.A.” The New York Times. Retrieved October 8, 2010. ^ Finn, Peter (September 9, 2010). “Suit dismissed against firm in CIA rendition case”. The Washington Post. Retrieved October 8, 2010. ^ Glenn Greenwald (February 10, 2009). “The 180-degree reversal of Obama’s State Secrets position”. Salon. Retrieved October 8, 2010. ^ “Background on the State Secrets Privilege”. American Civil Liberties Union. January 31, 2007. Retrieved October 8, 2010. ^ Duggan, Paul (April 2, 2007). “Balking at the First Pitch”. The Washington Post. p. A01. ^ “History of the BSA Fact Sheet” (PDF). Boy Scouts of America. Retrieved November 9, 2017. ^ Grier, Peter (April 25, 2011). “The (not so) secret history of the White House Easter Egg Roll”. The Christian Science Monitor. Archived from the original on July 30, 2012. Retrieved July 30, 2012. ^ Hesse, Monica (November 21, 2007). “Turkey Pardons, The Stuffing of Historic Legend”. The Washington Post. Retrieved May 14, 2011. ^ Gibbs, Nancy (November 13, 2008). “How Presidents Pass The Torch”. Time. Retrieved May 6, 2011. ^ Dorning, Mike (January 22, 2009). “A note from Bush starts morning in the Oval Office”. Chicago Tribune. Archived from the original on December 28, 2011. Retrieved May 6, 2011. ^ “The White House State Dinner”. The White House Historical Association. Retrieved November 9, 2017. ^ Neffinger, John (April 2, 2007). “Democrats vs. Science: Why We’re So Damn Good at Losing Elections”. HuffPost. Retrieved November 11, 2009. … back in the 1980s, Lesley Stahl of 60 Minutes ran a piece skewering Reagan’s policies on the elderly … But while her voiceover delivered a scathing critique, the video footage was all drawn from carefully-staged photo-ops of Reagan smiling with seniors and addressing large crowds … Deaver thanked … Stahl … for broadcasting all those images of Reagan looking his best. ^ Lexington (July 21, 2009). “The Cult of the Presidency”. The Economist. Retrieved November 9, 2009. Gene Healy argues that because voters expect the president to do everything … When they inevitably fail to keep their promises, voters swiftly become disillusioned. Yet they never lose their romantic idea that the president should drive the economy, vanquish enemies, lead the free world, comfort tornado victims, heal the national soul and protect borrowers from hidden credit-card fees. ^ “The Conquest of Presidentialism”. HuffPost. August 22, 2008. Retrieved September 20, 2009. ^ Schimke, David (September–October 2008). “Presidential Power to the People – Author Dana D. Nelson on why democracy demands that the next president be taken down a notch”. Utne Reader. Retrieved September 20, 2009. ^ Linker, Ross (September 27, 2007). “Critical of Presidency, Prof. Ginsberg and Crenson unite”. The Johns-Hopkins Newsletter. Retrieved November 9, 2017. presidents slowly but surely gain more and more power with both the public at large and other political institutions doing nothing to prevent it. ^ a b Nelson, Dana D. (October 11, 2008). “Opinion–The ‘unitary executive’ question – What do McCain and Obama think of the concept?”. Los Angeles Times. Retrieved September 21, 2009. ^ Shane, Scott (September 25, 2009). “A Critic Finds Obama Policies a Perfect Target”. The New York Times. Retrieved November 8, 2009. There is the small, minority-owned firm with deep ties to President Obama’s Chicago backers, made eligible by the Federal Reserve to handle potentially lucrative credit deals. ‘I want to know how these firms are picked and who picked them,’ Mr. Wilson, the group’s president, tells his eager researchers. ^ “Article II. The Executive Branch, Annenberg Classroom”. The Interactive Constitution. Philadelphia, Pennsylvania: The National Constitution Center. Retrieved June 15, 2018. ^ Peabody, Bruce G.; Gant, Scott E. (February 1999). “The Twice and Future President: Constitutional Interstices and the Twenty-Second Amendment”. Minnesota Law Review. 83 (3): 565–635. Archived from the original on January 15, 2013. Retrieved June 12, 2015. ^ Albert, Richard (Winter 2005). “The Evolving Vice Presidency”. Temple Law Review. 78 (4): 811–896. Retrieved July 31, 2018 – via Digital Commons @ Boston College Law School. ^ “Article I”. US Legal System. USLegal. Retrieved June 15, 2018. ^ Moreno, Paul. “Articles on Amendment XIV: Disqualification for Rebellion”. The Heritage Guide to the Constitution. The Heritage Foundation. Retrieved June 15, 2018. ^ “Twenty-third Amendment”. Annenberg Classroom. Philadelphia, Pennsylvania: The Annenberg Public Policy Center. Retrieved July 30, 2018. ^ a b c Neale, Thomas H. (May 15, 2017). “The Electoral College: How It Works in Contemporary Presidential Elections” (PDF). CRS Report for Congress. Washington, D.C.: Congressional Research Service. p. 13. Retrieved July 29, 2018. ^ “About the Electors”. U.S. Electoral College. Washington, D.C.: National Archives and Records Administration. Retrieved August 2, 2018. ^ “Maine & Nebraska”. fairvote.com. Takoma Park, Maryland: FairVote. Retrieved August 1, 2018. ^ “Split Electoral Votes in Maine and Nebraska”. 270towin.com. Retrieved August 1, 2018. ^ “Faithless Elector State Laws”. fairvote.com. Takoma Park, Maryland: FairVote. Retrieved August 1, 2018. ^ Kuroda, Tadahisa. “Essays on Article II: Electoral College”. The Heritage Guide to The Constitution. The Heritage Foundation. Retrieved July 27, 2018. ^ Fried, Charles. “Essays on Amendment XII: Electoral College”. The Heritage Guide to the Constitution. The Heritage Foundation. Retrieved February 20, 2018. ^ Larson, Edward J.; Shesol, Jeff. “The Twentieth Amendment”. The Interactive Constitution. Philadelphia, Pennsylvania: The National Constitution Center. Retrieved June 15, 2018. ^ “The First Inauguration after the Lame Duck Amendment: January 20, 1937”. Washington, D.C.: Office of the Historian, U.S. House of Representatives. Retrieved July 24, 2018. ^ “Commencement of the Terms of Office: Twentieth Amendment” (PDF). Constitution of the United States of America: Analysis and Interpretation. Washington, D.C.: United States Government Printing Office, Library of Congress. pp. 2297–98. Retrieved July 24, 2018. ^ a b Kesavan, Vasan. “Essays on Article II: Oath of Office”. The Heritage Guide to The Constitution. The Heritage Foundation. Retrieved August 2, 2018. ^ NCC Staff (January 20, 2017). “How Presidents use Bibles at inaugurations”. Constitution Daily. Philadelphia, Pennsylvania: National Constitution Center. Retrieved August 3, 2018. ^ Munson, Holly (July 12, 2011). “Who said that? A quick history of the presidential oath”. ConstitutionDaily. Philadelphia, Pennsylvania: National Constitution Center. Retrieved August 3, 2018. ^ Neale, Thomas H. (October 19, 2009). “Presidential Terms and Tenure: Perspectives and Proposals for Change” (PDF). Washington, D.C.: Congressional Research Service. Retrieved August 3, 2018. ^ Waugh, Joan. “Ulysses S. Grant: Campaigns and Elections”. Miller Center of Public Affairs, University of Virginia. Retrieved August 3, 2018. ^ Milkis, Sidney. “Theodore Roosevelt: Campaigns and Elections”. Miller Center of Public Affairs, University of Virginia. Retrieved August 3, 2018. ^ a b “Twenty-second Amendment”. Annenberg Classroom. Philadelphia, Pennsylvania: The Annenberg Public Policy Center. Retrieved August 2, 2018. ^ a b Presser, Stephen B. “Essays on Article I: Impeachment”. Heritage Guide to the Constitution. The Heritage Foundation. Retrieved August 3, 2018. ^ Gerhardt, Michael J. “Essays on Article I: Trial of Impeachment”. Heritage Guide to the Constitution. The Heritage Foundation. Retrieved August 3, 2018. ^ Feerick, John D. (2011). “Presidential Succession and Inability: Before and After the Twenty-Fifth Amendment”. Fordham Law Review. New York City: Fordham University School of Law. 79 (3): 907–949. Retrieved December 13, 2018. ^ a b Feerick, John. “Essays on Article II: Presidential Succession”. The Heritage Guide to the Constitution. The Heritage Foundation. Retrieved December 13, 2018. ^ Woolley, John; Peters, Gerhard. “List of Vice-Presidents Who Served as “Acting” President Under the 25th Amendment”. The American Presidency Project [online]. Gerhard Peters (database). Santa Barbara, California: University of California (hosted). Retrieved July 19, 2018. ^ “Succession: Presidential and Vice Presidential Fast Facts”. cnn.com. October 24, 2017. Retrieved July 19, 2018. ^ “U.S. Senate: Party Division”. senate.gov. Retrieved January 2, 2017. ^ Jamison, Dennis (December 31, 2014). “George Washington’s views on political parties in America”. The Washington Times. Retrieved July 1, 2016. ^ “Political Parties”. Mount Vernon, Virginia: Mount Vernon Ladies’ Association. Retrieved March 24, 2019. ^ “The Presidents of the United States of America”. enchantedlearning.com. Retrieved August 2, 2018. ^ “Political Parties of the Presidents”. presidentsusa.net. Retrieved August 2, 2018. ^ “Presidential and Vice Presidential Salaries Exclusive of Perquisites”. Data from Congressional Quarterly’s Guide to the Presidency. University of Michigan. Retrieved July 31, 2018. ^ Williamson, Samuel H. “Seven Ways to Compute the Relative Value of a U.S. Dollar Amount, 1774 to Present”. measuringworth.com. MeasuringWorth. Retrieved July 31, 2018. ^ Longley, Robert (September 1, 2017). “Presidential Pay and Compensation”. ThoughtCo. Retrieved July 31, 2018. ^ Elkins, Kathleen (February 19, 2018). “Here’s the last time the president of the United States got a raise”. CNBC. Retrieved July 31, 2018. ^ “The White House Building”. whitehouse. Retrieved August 3, 2018. ^ Bulmiller, Elisabeth (January 2009). “Inside the Presidency: Few outsiders ever see the President’s private enclave”. National Geographic. Washington, D.C.: National Geographic Partners. Retrieved August 3, 2018. ^ “President’s Guest House (includes Lee House and Blair House), Washington, DC”. Washington, D.C.: General Services Administration. Retrieved November 9, 2017. ^ “Air Force One”. whitehouse.gov/about/air-force-one/. Archived from the original on December 14, 2012. . White House Military Office. Retrieved June 17, 2007. ^ Any U.S. Air Force aircraft carrying the president will use the call sign “Air Force One.” Similarly, “Navy One“, “Army One“, and “Coast Guard One” are the call signs used if the president is aboard a craft belonging to these services. “Executive One” becomes the call sign of any civilian aircraft when the president boards. ^ Ahlers, Mike M.; Marrapodi, Eric (January 6, 2009). “Obama’s wheels: Secret Service to unveil new presidential limo”. CNN. Archived from the original on February 2, 2016. Retrieved December 16, 2017. ^ Farley, Robert (August 25, 2011). “Obama’s Canadian-American Bus”. FactCheck. Retrieved December 16, 2017. ^ “Junior Secret Service Program: Assignment 7. Code Names”. National Park Service. Archived from the original on January 18, 2007. Retrieved August 18, 2007. ^ “Candidate Code Names Secret Service Monikers Used on the Campaign Trail”. CBS. September 16, 2008. Retrieved November 12, 2008. ^ Schwemle, Barbara L. (October 17, 2012). “President of the United States: Compensation” (PDF). Congressional Research Service. Retrieved January 10, 2013. 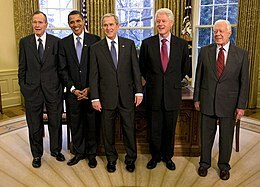 ^ “Former presidents cost U.S. taxpayers big bucks”. Toledo Blade. January 7, 2007. Retrieved May 22, 2007. ^ “Obama signs bill granting lifetime Secret Service protection to former presidents and spouses”. The Washington Post. Associated Press. January 10, 2013. Archived from the original on August 23, 2016. Retrieved January 10, 2013. ^ a b “United States Secret Service: Protection”. United States Secret Service. Retrieved November 9, 2017. ^ “Obama signs protection bill for former presidents”. The Washington Times. January 10, 2013. Retrieved August 14, 2013. ^ “Shock and Anger Flash Throughout the United States”. Associated Press. March 31, 1981. Archived from the original on September 6, 2015. Retrieved March 11, 2011. ^ “Four Presidents”. Reagan Presidential Library, National Archives and Records Administration. Retrieved April 3, 2011. ^ “Biography of Richard M. Nixon”. obamawhitehouse.archives.gov. , The White House. Bumiller, Elisabeth (January 2009). “Inside the Presidency”. National Geographic. 215 (1): 130–149.